All Honda Exclusive editions will be sold in either Radiant Red or Orchid White colour shades. The new models will be customised at dealer showrooms while all the accessories will come straight from Honda factory. The paint on tailgate spoilers (WR-V and Jazz) will be done by the dealer and alloy wheels in the cars will be a factory fitment. Japanese automaker Honda is all set to woo its consumer base in India by launching special editions of Honda WR-V, Amaze and Jazz. The Exclusive Edition of the cars will get fancy cosmetic upgrades from radicalising interiors to bold new exterior. The exclusive edition of the Honda cars will be rolled out on February 7, Thursday, in the showrooms across India. 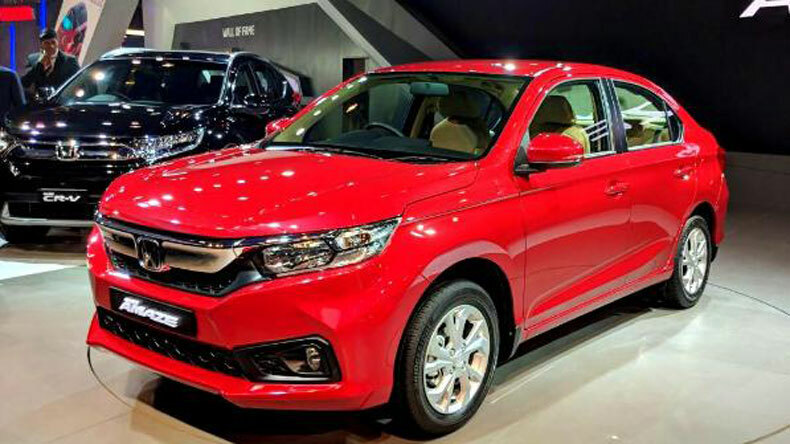 The all-new Honda Exclusive Edition cars will hit the market in following models: Honda WR-V VX MT petrol and diesel, Honda Amaze VX MT petrol and diesel, and Jazz VX CVT. Honda WR-V Exclusive Edition will have new seat covers, unique body graphics and a new emblem of Honda. Also, there will be illuminated door sills and a classy blackened rear spoiler with an LED light. Honda Amaze Exclusive Edition will also get new seat covers, unique body graphics, a new emblem, illuminated door sills. But apart from that, the new Amaze will have black wheel-caps, a front armrest with slide and a console box inside the car. Honda Jazz Exclusive Edition will boast a tailgate spoiler, black alloy wheels along with unique seat covers, new body graphics, a new Honda emblem and shimmery door sills. Importantly, all the Honda Exclusive editions will be sold in either Radiant Red or Orchid White colour shades. The new models will be customised at dealer showrooms while all the accessories will come straight from Honda factory. The paint on tailgate spoilers (WR-V and Jazz) will be done by the dealer and alloy wheels in the cars will be a factory fitment. Honda has apparently launched a charm offensive on the Indian car market and by rolling out bolder editions of the said cars, it will be expecting a surge in its already massive consumer base. It is also being reported that the Japanese carmaker is planning to launch the all-new Civic in India by the end of next month.